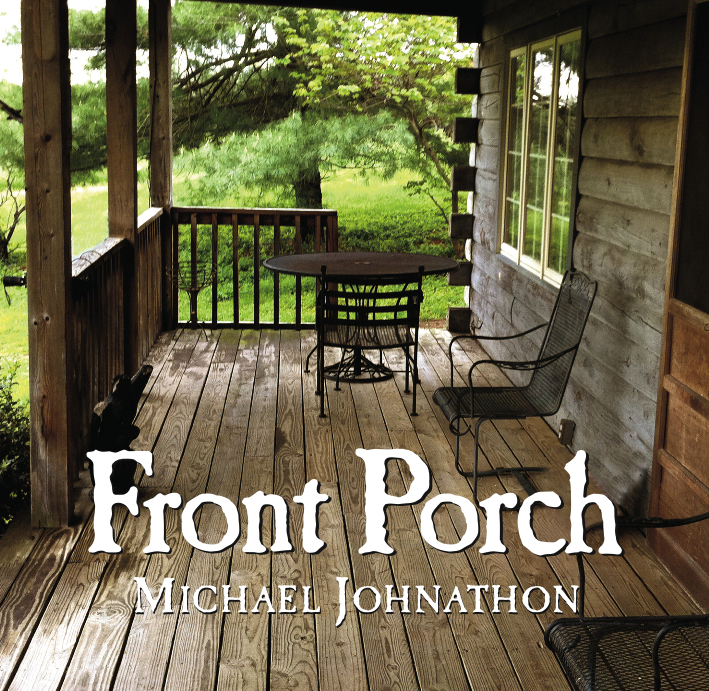 Michael Johnathon’s signature “folkestral” music is a pleasing blend of nicely-arranged, mostly original songs that incorporate his guitar and banjo along with occasional orchestral strings into pretty little ditties with downhome messages. Back in the old days, a great deal of mountain music and dancing were solely made on the porch. 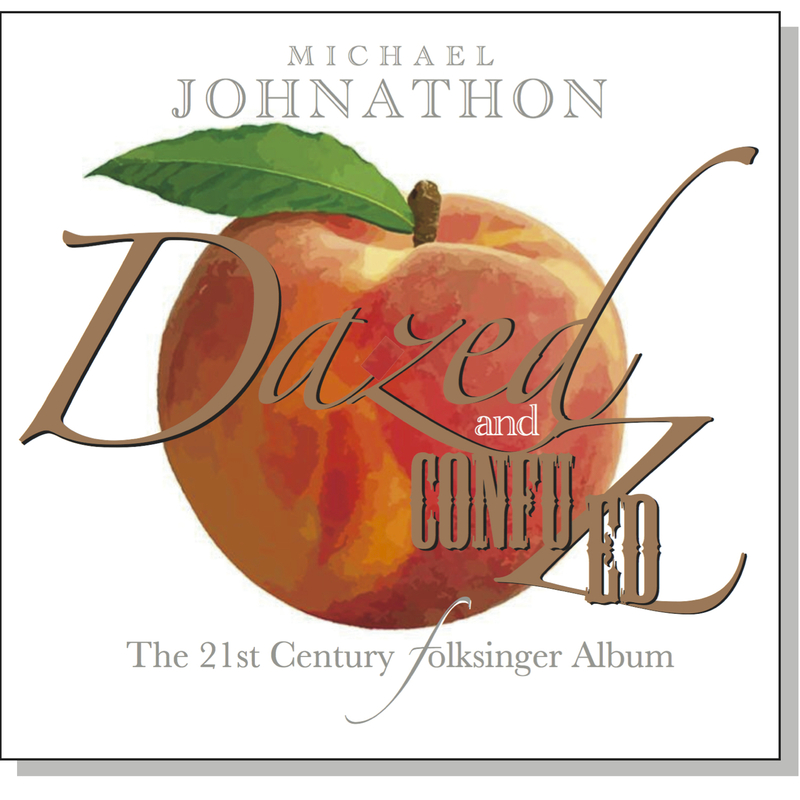 Today, many people have turned a back on their musical roots, and it takes folksingers like Johnathon to frequently nostalgically remind us of simpler days full of children dancing, fireflies, and values like love, forgiveness and mercy divine. A unique arrangement of the Rolling Stones’ “Satisfaction” initially seemed a little out of place until we’re reminded of that man on the radio trying to capture our imagination with a lot of useless information. I believe that there’s a subtle message that Michael’s trying to convey – happiness and contentment can be found by simply embracing a life built around love, honesty and music. The consummate musician surrounds himself with others who understand his musical vision. Some others appearing on this album include Rob Ickes (dobro), Raymond McLain (mandolin), Ronn Crowder (harmonica), and three bass players (Paul Reich, Bob Bryant, A.J. Daugherty). As with his previous albums, his accompanists successfully dispense “song conversation” to the music. String quartets (with two violins, viola, and cello) appear in “How Can I Keep from Singing” and “Believe,” and “Pachelbel’s Canon in D” includes violin, viola, cello and bass. All three of these tracks were recorded live in concert, perhaps as part of Michael’s popular “WoodSongs Old-Time Radio Hour,” a live weekly program broadcast on hundreds of stations (and internet). Among the ten tracks (a tad short for a full-length album), the instrumental “Tacobell’s Pee-shooter” and “Moonfire” are presented with plenty of engaging joie de vivre.